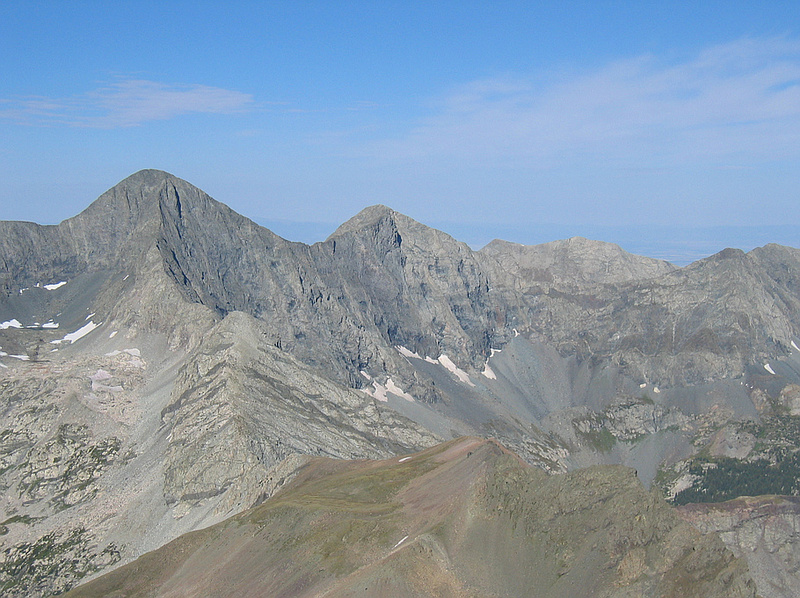 Blanca Peak is a mighty Colorado 14er located at the southern end of the Sangre de Cristo Range. Blanca Peak is notable for its great vertical rise of over 6,000 feet from the edge of the San Luis Valley in only 4.5 miles. 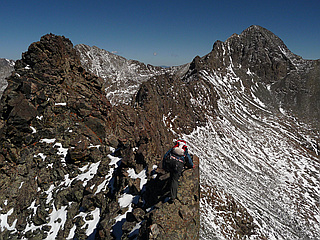 Its sheer northeast face rises 1500 feet and offers some of Colorado's biggest wall climbing. 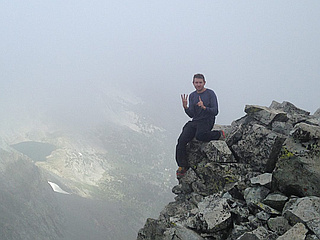 3 other fourteeners are nearby: Mount Lindsey to the east, Ellingwood Point to the north (not on most official 14er lists due to low prominence), and Little Bear Peak to the southwest. Ellingwood Point is connected to Blanca by a short, high ridge and is often climbed in conjunction with Blanca. Little Bear also has a technical high connecting ridge to Blanca, one of the 4 great Colorado 14er traverses.